Hijab is a definite obligation for every Muslim woman. Deficiency in calcium and vitamin D is something that can be treated medically and by eating food that contains those nutrients, and by exposure to the sun in a place where there are no non-mahram men, such as exposure to the sun through windows, on the roof of the house, in remote parks, and so on. Allah, may He be exalted, has prescribed and enjoined hijab, and He knows best about His creation and what is best for them. Sharee‘ah does not enjoin anything that causes obvious harm or considerable problems. Following a medical study in which a number of doctors took part, Dr. Muhammad al-Shaakir (consultant in bone disease at the specialist King Faisal Hospital in Riyadh) rejected what has been said about women’s Islamic clothing playing a part in vitamin D deficiency and said: This theory has no connection to truth. 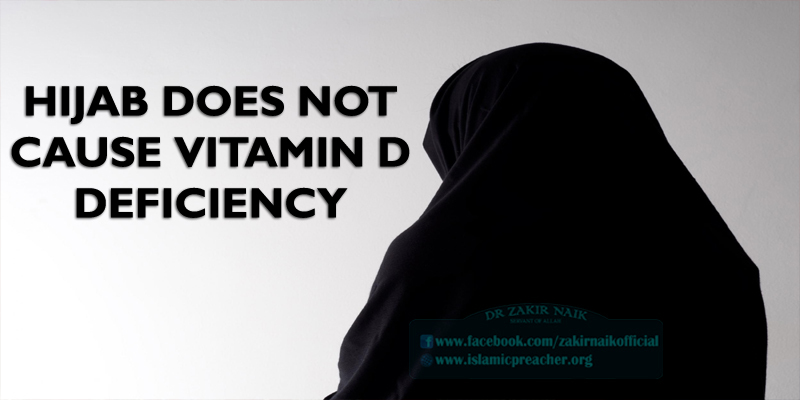 Specialists think that one of the means of protection against bone disease is exposure to the sun so as to enable the skin to produce vitamin D. The Muslim woman’s hijab does not prevent her being exposed to the rays of the sun, because minimal daily exposure is enough to produce sufficient amounts of this vitamin. End quote from the [Saudi] Ministry of Health website. It should be said to women who do not wear hijab for this reason: Fear Allah, may He be exalted, and beware of His Punishment; adhere to that which He has enjoined upon you, and stop making false excuses, for nothing is hidden from Allah; Allaah knows the fraud of the eyes, and all that the hearts conceal (cf. Ghaafir 40:19). Seek remedies and treatments in that which Allah has not forbidden, and you will find it, in sha Allah. May Allah help us all to do that which He loves and which pleases Him.